This group provides opportunitites to network, socialize and expand your professional horizons. The group creates events and activities to attract and retain the area’s diverse young talent. The LACC Young Professionals Group is made up of energetic, notivated people ages 21-40. Perfect for those who want to meet new people, progress their careers, get involved in the community and learn a few things along the way. It’s a great opportunity for our young movers and shakers who are driven to succeed and committed to making a difference intheir community. 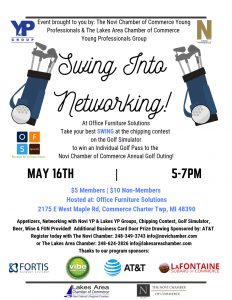 For more information about the group or to be added to our YPG emails, please contact the Lakes Area Chamber of Commerce or send your registration form in today!